Trust your dental health & smile with Dr. Paul P. Chang, the only dual board certified dental implant specialist in Texas! Dr. Chang and his team use the best components (implants and teeth), employs state-of-the art technology and procedures--all at one location. Our commitment to quality implant care has gained the confidence and earned the trust of many of patients just like you. At Periodontics & Implant Center of McKinney, we treat people, not just teeth (see our testimonials). 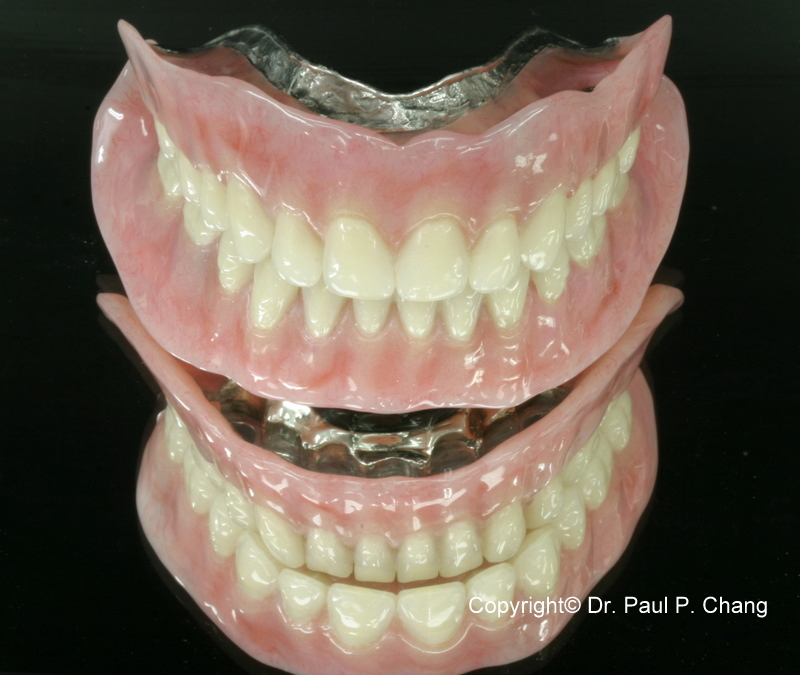 If you had a choice between a set of removable dentures or permanent teeth replacement that look and feel like your own, which would you choose? 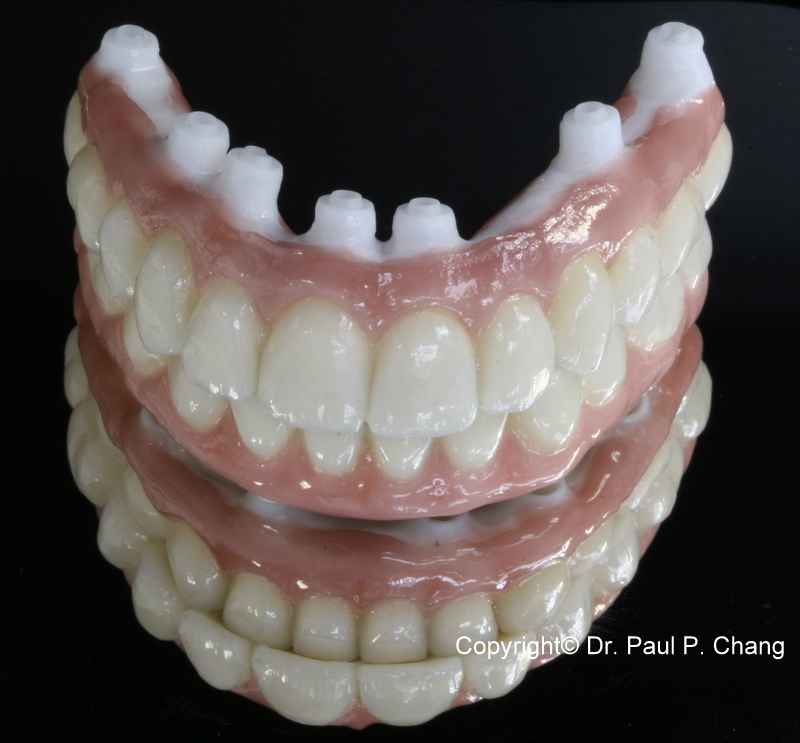 What if the replacement teeth allows you to speak and eat with comfort and confidence, offer you freedom from the irksome clicks and wobbles of dentures and allows you to say goodbye to misplaced dentures and messy pastes and glues? Dental Implants are growing in popularity and advancing in technology. They are a permanent and effective alternative to dentures. A dental implant, which looks like a post or cylinder, is an artificial tooth root placed into your jaw to hold a replacement tooth, bridge or denture in place. While high-tech in nature, dental implants are actually more tooth saving than traditional bridgework, since they do not rely on neighboring teeth for support. 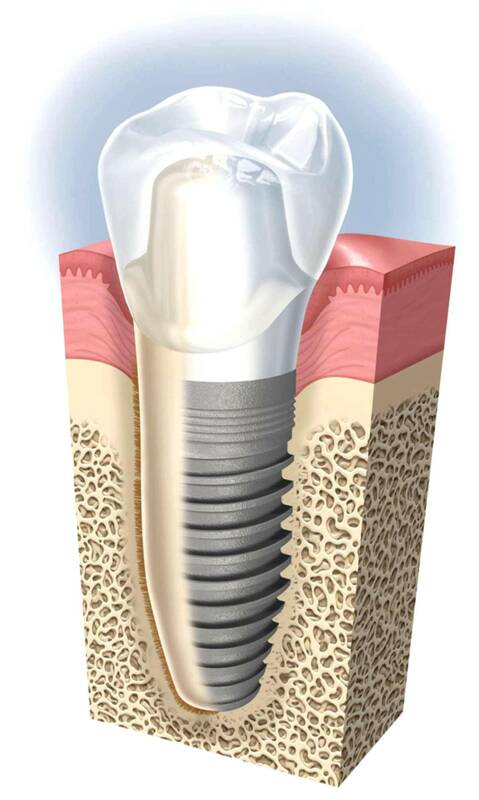 As you can see, dental implants are intimately connected with the gum tissues and underlying bone in the mouth. Since Dr. Chang is a board certified periodontist, the dental expert who specialize in precisely these areas, he can be an ideal member of your dental implant team. Dr. Chang is one the few dental implant specialist in the world to use 3D low radiation Cone Beam CT Scans for diagnosis and treatment planning. While it only take less than a minute, the scan supports a much higher level of patient care compare to conventional 2D X-ray films. 3D low radiation Cone Beam CT Scans allow a detailed look at existing teeth, bone, nerves, and tissue. Avoid the nerves and sinuses. Periodontics & Implant Center of McKinney is one of the leading dental implant center in America that offer Nobel Biocare Immediate Function Procedures, including the All-on-4 Procedure, an advanced alternative to traditional dentures. Immediate Function Procedures allow most patients to receive their implants and beautiful new teeth all in the same day. Dr. Chang and your family dentist use the best dental implant lab available to provide state-of-the-art technology and artful, expert craftsmanship that is needed to ensure the best possible replacement teeth available. We will recommend the best materials for replacement teeth based on the needs and lifestyle of each patient. They can be made from either a high-grade acrylic resin or porcelain. High-grade acrylic composite resins are specifically formulated to withstand the great pressures and functional demands of the oral environment. 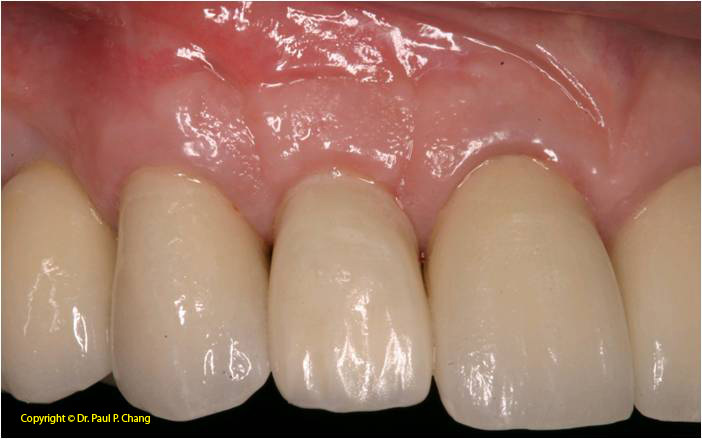 These teeth bond to an underlying naturally colored gum material to complete a natural smile. Acrylic teeth are extremely lifelike in appearance. The wide variety of shade and shape allows Dr. Chang and your family dentist to match any existing teeth or your specific preferences. - Are you an ideal patient for a dental implant? The ideal candidate for a dental implant is in good general and oral health. Adequate bone in your jaw is needed to support the implant, and the best candidates have healthy gum tissues that are free of periodontal diseases. 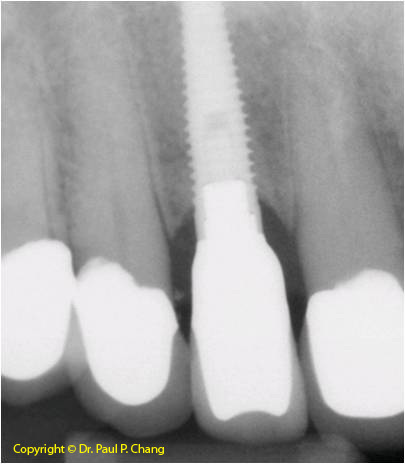 Some implants take two to six months for the bone and implant to bond together to form anchors (osseointegration). During this time, you can wear a removable temporary tooth replacement option over the implant site(s). However, there is now the option of immediate loading, whereby Dr. Chang places the implant immediately following tooth extraction and attaches a temporary fixed tooth replacement. Not only does Dr. Paul Chang has experiences working with other dental professionals, he also has the special knowledge, training and facilities that you need to have teeth that look and feel just like your own. Depending on your specific condition and the type of implant chosen, Dr. Chang will create a treatment plan tailored to meet your needs. - Click on the links below for more information about dental implant or visit our Smile Gallery for some more of Dr. Chang's own work!